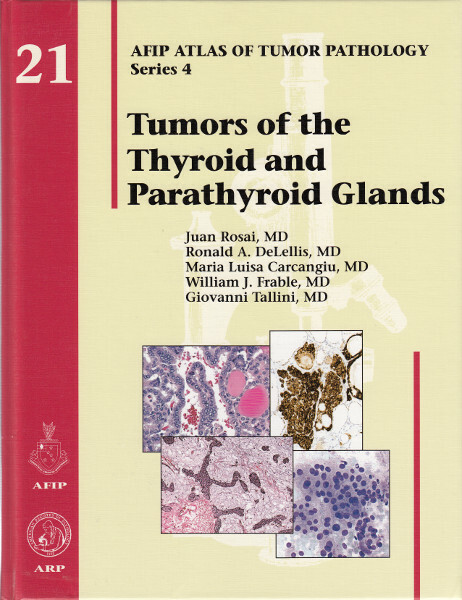 In the years since the publication of the Third Series AFIP Fascicles on the thyroid and parathyroid glands, awareness of the remarkable morphologic diversity of thyroid carcinoma has notably expanded, and great advances have been made in unraveling the molecular genetic features of thyroid and parathyroid tumors. There has also been an increased interest in the use of the fine-needle aspiration technique for the diagnosis and management of thyroid tumors, and in the role of the pathologist in the operative handling of the hyperfunctioning parathyroid gland. This Fascicle documents the most significant advances that have taken place in these areas, emphasizing those with a practical application at the clinical level. 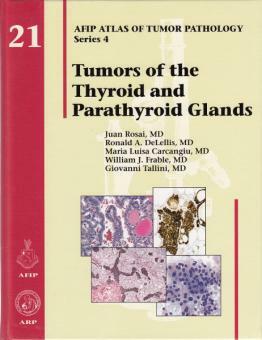 The format remains similar to that of the previous versions, but the two thyroid and parathyroid Fascicles have been merged into one, and most of the black and white gross photographs and photomicrographs have been replaced with color images. The authors include a number of the most recent references, but have not ignored the classic works in the field, many of which have descriptions, illustrations, and insights that cannot be bettered. This Fascicle fulfills the original goal of this series, which is that of helping the pathologist diagnose and anticipate the behavior of tumors and tumor-like lesions included in this publication.